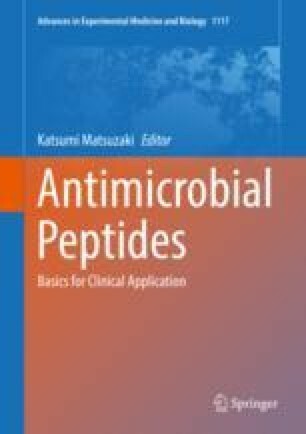 Cationic host defence peptides (CHDPs), also known as antimicrobial peptides, exhibit a wide range of activities contributing to immune responses and resolution of infections. CHDPs are expressed across diverse species, are generally amphipathic with less than 50 amino acids in length, and differ significantly in sequence and structure. This chapter focuses on the role of these peptides in immunity. CHDPs are known to function in both innate and adaptive immune responses. These peptides exert both pro- and anti-inflammatory properties, which are likely context dependent based on cell and tissue type, concentration of the peptides, and its interaction with other factors in the microenvironment. Furthermore, the crosstalk between CHDPs and the microbiome and how this may influence mucosal immunity is a rapidly emerging field of research. Overall, the immunomodulatory functions of CHDPs play an important role in the control of infections, regulation of inflammation, and maintaining immune homeostasis. It is thus not surprising that dysregulation of expression of CHDPs is implicated in the susceptibility, pathology, and progression of various diseases. In this chapter, we summarize the immunomodulatory functions of CHDPs, its clinical relevance, and the translational opportunities that these peptides provide for the development of new therapies. AD is supported by an EU Marie Curie Global Fellowship (#748569). Studies in the laboratory of PSH on CHDPs are supported by grants from the Lung Foundation Netherlands, the Eurostars program, The Netherlands Organisation for Health Research and Development (ZonMw), and Galapagos NV. NM is supported by Canadian Institutes of Health Research (CIHR) and Natural Sciences and Engineering Research Council of Canada (NSERC) for peptide research.